Ciaran is currently the Managing Director of Community Engagement Partners Limited having retired as the Development Manager of LIT in 2016. He has a background in sociology, town planning, rural development and governance. He worked as a local authority planner for over 20 years and was The Planning and Development Officer for County Clare for 13 years. He was formerly the Head of the Sustainable Rural Development Department at Tipperary Institute. He is also a former Director of the National Rural Network and was a member of the CEDRA Expert Advisory Group. He has been and still is Chair and a member of many community and voluntary groups at both national and local levels. 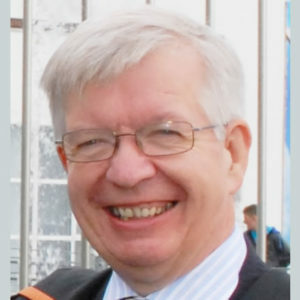 In addition to his work in Local Authorities he has worked on many development projects including local and regional social and economic strategies, community planning projects, Interreg, Erasmus and Horizon 2020 projects and on issues of organisational development and governance for national and community-based organisations. He has also presented papers and given presentations at many national and international conferences over the years.